Welcome to our finance center! If you are low on cash, we are here to help! 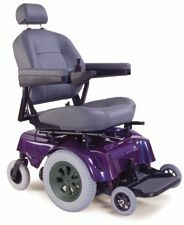 Here at American Wheelchairs we want to be sure that you have every opportunity to receive the electric wheelchair, scooter, scooter or wheelchair lift, or lift chair that you need to enhance your mobility needs. Filling out our online application is as easy as 1, 2, 3 !!! Apply Online and Receive Notification within 3 business days! Chose the finance terms that fit your budget from 12 months to 60 months. Either way, there is no penalty for early repayment. This is not a lease!! This is a credit application to PURCHASE the mobility equipment you need. Interest as low as 22.9%, depending on credit rating. Fill out our online credit application form. We will let you know within 2 business days or less if you are approved. When you are approved, we will send you the original loan paper to sign. Just sign and return to us and your new scooter, power wheelchair or lift chair will be on its way!